The Mandalay Bay Resort and Casino in Las Vegas, NV was the epicenter of Collaborate 18: 5 days of technology conference presentations, networking, and exhibit halls crowded with over 5,500 attendees from all over the world. 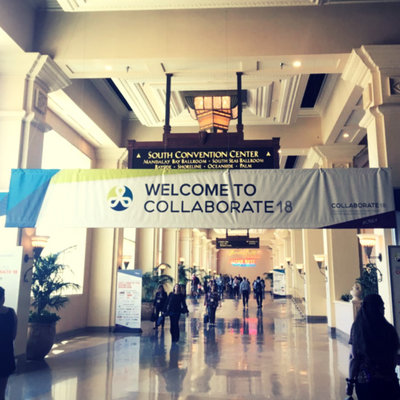 For this edition, the education offering of Collaborate reached the count of almost 1,400 educational sessions which spanned every angle of Oracle technology, as well as professional development. Amazingly, collaborate demonstrates each year that the Oracle grassroots keep growing strong. The week started on Sunday with the Special Interest Group for Mobile Enterprises, of which I was co-chair with Manjula Ganapathi, and we had a full room with many great speakers. 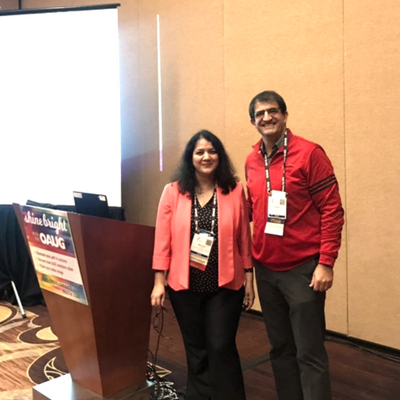 Our Oracle Ambassador, Jeanny Lowell, Oracle VP for Product Strategy, presented an update on Oracle EBS Mobile Product strategy with many questions from the audience. Later on, Dennis from TMEIC shared his experience on a real implementation of Native Mobile Apps with EBS. We also had people from multiple vendors that presented their solutions, aiming at how mobile development and implementation can enhance the ROI of an enterprise mobility strategy. Piqued your interest? Join us in our Linkedin Group. 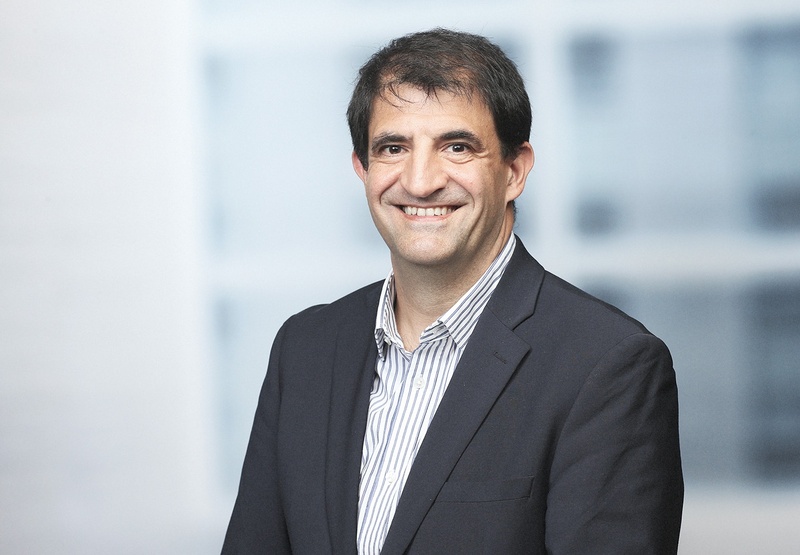 On Monday, Steve Daheb, Senior Vice President of #OracleCloud, delivered insights to a packed room on how to modernize and innovate while reducing costs in this year's Oracle Keynote session: How to Build Your Own Personalized Path to Cloud. 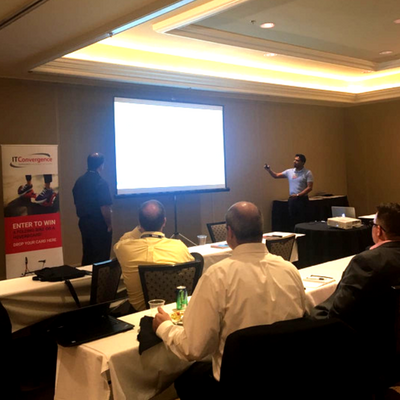 The journey included valuable information on the recently launched Autonomous Database Services for Datawarehouse and OLTP. Learn how to migrate your on-premise Oracle applications to Oracle Cloud infrastructure seamlessly. This presentation walks you through the Lift and Shift process and shares the key takeaways from successful projects. Mobile is part of your life, so performing your daily ERP activities on your phone should be as well. This presentation offers insights and best practices of the native mobile apps implementations as well as how to calculate a tangible ROI for this type of initiative. Learn what the most practical path to Oracle Cloud should be for your organization. This presentation walks you through the options of shifting your EBS to Cloud, extending your EBS with additive SaaS apps, migrating to SaaS or a mix of the three. The differences between On-Premise versus Cloud, pros and cons, and the path to adopt Cloud in the most seamless way. Learn the options available to move/ migrate applications and technology to the Cloud and what would be the actual cost of that investment. If you are interested in these topics, you can download the presentations. 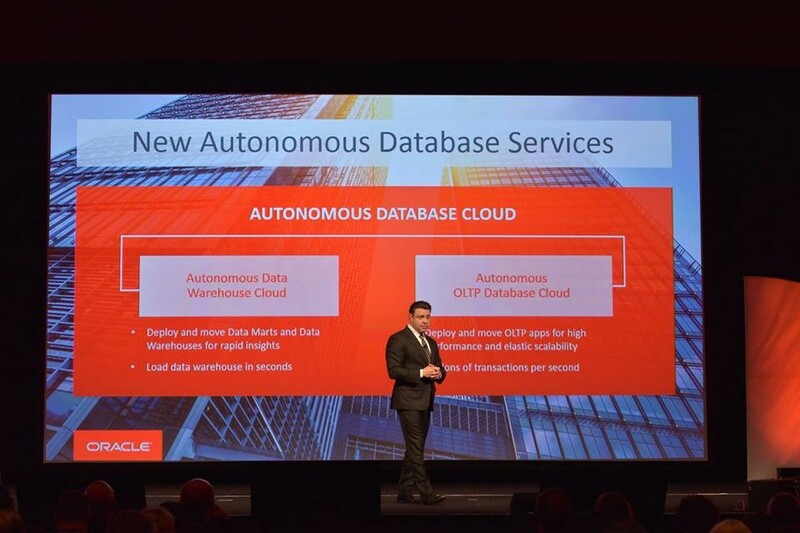 In the next entry: news on the Oracle E-Business Suite side, such as how you can work on the preparation for the upcoming EU GDPR as well as new products that will be coming up in the short term that were introduced and demo’ed at #C18LV.